Regular maintenance of your home during the summer can prevent expensive and time-consuming repairs later in the year. Even the smallest tweaks can help spruce up your home from the inside out. Here are five items that should be added to any summer home maintenance checklist. Paint touch-ups are necessary not only for curb appeal, but because chipped or peeling paint can let in bugs, mildew, and algae. All you need is a few minutes to walk around the home and spot problem areas. Keep a small can of house paint labeled in the garage so you can always have it available for easy touch-ups. 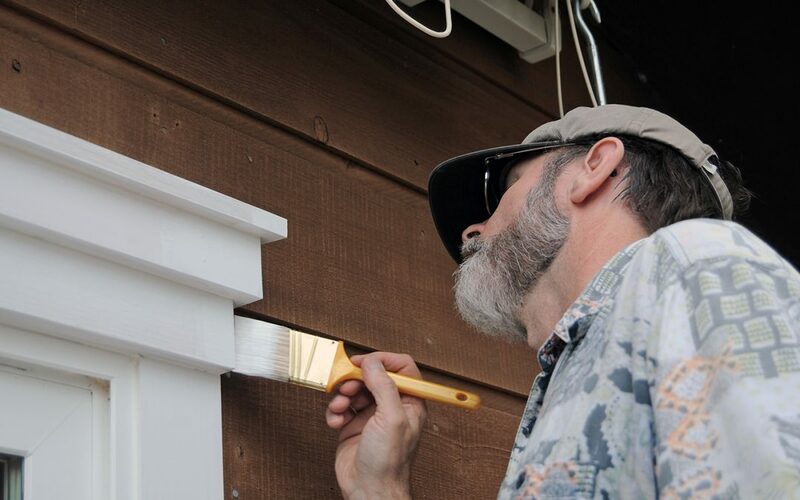 Painting these trouble spots now during your summer home maintenance tasks will help protect your home’s siding. Exterior window washing often doesn’t get done frequently enough. Instead of using a cleaner spray, wash the windows with a bucket of soapy water and a sponge. You can use a pressure washer as well on the lowest setting. Each year, you should clean your window screen gently with soap and water. If they are too dirty to clean, they should be replaced. Air conditioner filters should be changed every month or so, especially in the summer. Proper maintenance and cleaning will help ensure your HVAC system will function properly and efficiently throughout the year. Clogged air filters can also cause damage to your air conditioner. Backed-up dirt and debris is a main cause of HVAC system failure. Frequently changing your air filters will provide you and your family with fresher, healthier, and cleaner air. Wiping down your baseboards requires time and effort, but should be done at least once a year. Using dryer sheets to clean them will help prevent future dust buildup. Or, rubber band a cloth around your broom, spray it with your favorite cleaner and gently sweep the dust off the baseboards. Magic Erasers dipped in soapy water can also get the job done. Home Inspections are not just for when you are buying a home. It’s a good idea to hire a professional home inspector periodically to inspect your home so that you can address any issues before they turn into big expensive problems. Some inspectors will customize an inspection just based on the components you need to be checked out. Top 2 Bottom Home Inspections offers Full Home Inspections or inspections for individual components to meet your specific needs. If you would like to book any of our services for a property in the Nashville area, contact our Certified Master Inspector today.